The theatre group from Argentina named Mandragora Circo is performing their play titled Mandragora Circo itself at Lokadharmi Nadakaveedu Nayarambalam Kochi at 6.30 pm on the28th of January 2018. 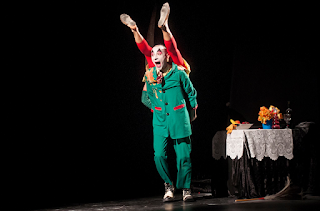 "Mandragora Circus" is a wordless theatre performance in which two clowns tell a story of comedy and love where dialog and thoughts are communicated without the help of spoken words. 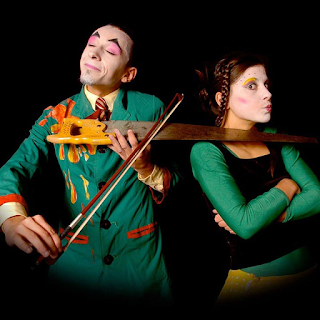 Circus stunts, music and unconventional instruments weave the acts of this performance together to allow the audience to imagine situations, conflicts and solutions. 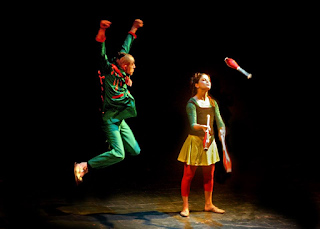 The show is delicate, with a touch of comedy, and an attractive story which can be enjoyed by audiences of all ages. It is a non-verbal Performance bordering clowning and acrobatics. The independent theatre group Mandragora Circo from Argentina is a renowned theatre group widely travelling and performing all over the world. For the past 8 years they have travelled, did workshops and performed, in around 42 countries in the continents of the Americas, Europe, Africa and Asia - traveling, country to country presenting this wordless performance non - stop.